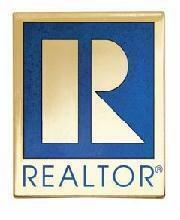 Why should I work with a Real Estate Professional? What should I look for in a Real Estate Professional? You should look for someone who is knowledgeable about the communities of interest to you and aware of the complicated local and state requirements affecting your transaction. Your Real Estate Professional should be effective in multi-party, face-to-face negotiations, highly-trained, with access to programs for continued learning and additional certifications, technology-focused. In addition it is helpful to work with someone who is assisted by a fully-staffed marketing department and supported by professional legal counsel. Do I need to be pre-qualified for a loan before contact a Real Estate Professional? Documentation - If not already completed in the pre-qualification stage, your Sales Associate will order all necessary supporting documentation. Once inspections are completed, your Associate will order an appraisal on the property. As it comes in, documentation is checked for any irregularities. How do I look for and choose the right home for me? I've found my dream home! Now what? This is where your Associate's negotiation skills come into play. When an offer is made, the seller will have the option of accepting, rejecting or counter-offering. Your Associate will negotiate the best possible terms for you. Our offer was accepted! Now what? Approval of the seller's transfer disclosure statement. Approval of the preliminary title support. When all of the conditions of the purchase agreement have been met, you will sign your loan documents and closing papers. You will deposit the balance of your down payment and closing costs to escrow, and your lender will deposit the balance of the purchase price. The deed will then be recorded at the Cape May County Clerk's office and you will take ownership of your new home.